In regard to the directive n. 7/19/14673 issued by the presidency office in 19/12/2018, the journal board would like to announce that our journal publication will be changed to biannual publication hereafter. Every 20/6 and 20/12 our journal publication will be released. 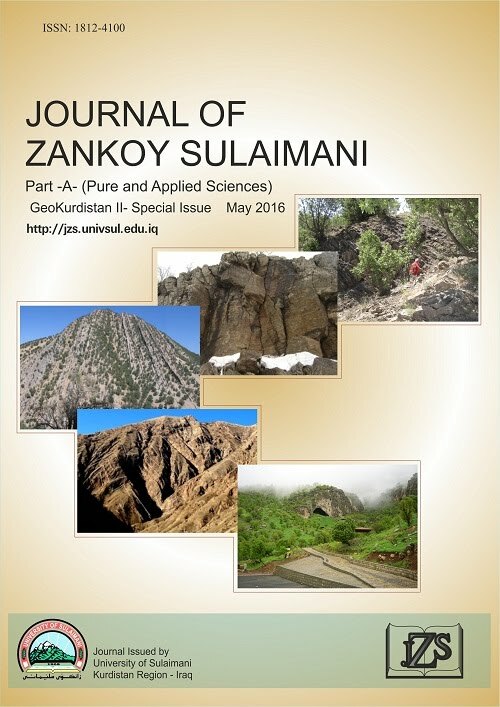 This is Journal of Zankoy Sulaimani-A (JZS-A), a professional periodical which was established in March 1997 and will be published across the Iraqi Kurdistan Region by University of Sulaimani. Journal of Zankoy Sulaimani-A (JZS-A) is intended for theoretical and applied papers in all fields of science in English language.Journal of Zankoy Sulaimani-A (JZS-A) will accept the following kinds of papers: original research papers, important innovations, developing previous works, reviews based on critical analysis, technical notes and case report. All the published papers can be browsed on our website (www.univsul.edu.iq). Journal of Zankoy Sulaimani-A (JZS-A) is dedicated to establish the best platform, on which domestic scholars’ achievements or innovations can be widely acknowledged, and on which international exchange can be facilitated timely. We consider it our destination to promote advancement of science and technology. Articles are published both in print and online. 1.EyeSource– International Society of Universal Research in Sciences. Do not hesitate to contribute to Journal of Zankoy Sulaimani-A (JZS-A).